During our Sunday Morning Sung Mass we run an optional Sunday Club for toddlers to 12-year olds. After the start of the service the children move from the church to our attached parish hall, St Patrick's Room, where they explore topics related to the scripture readings for the day, returning to the church for the end of the service. 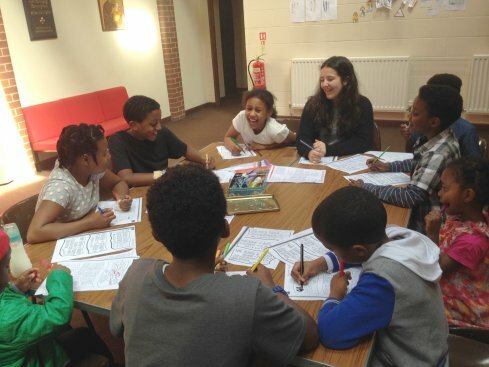 On the last Sunday of the month, instead of moving to the church hall, the children instead remain in church and take an extra part in the service.